Brother Jesse Blog: Trayvon Martin Update: Special prosecutor announces second degree murder charges against George Zimmerman + Watoto From the Nile releases tribute video "Warning"
Trayvon Martin Update: Special prosecutor announces second degree murder charges against George Zimmerman + Watoto From the Nile releases tribute video "Warning"
The news brought mixed reactions, but the family of Trayvon Martin received some good news on Wednesday, April 11 when special prosecutor Angela Corey announced second degree murder charges being brought against George Zimmerman in the shooting death of their son. Corey also announced that Zimmerman is in custody. Since Feb. 26 people have been protesting, rallying, tweeting, writing and marching to demand justice for the 17-year-old unarmed Black teen. "This is just the beginning. 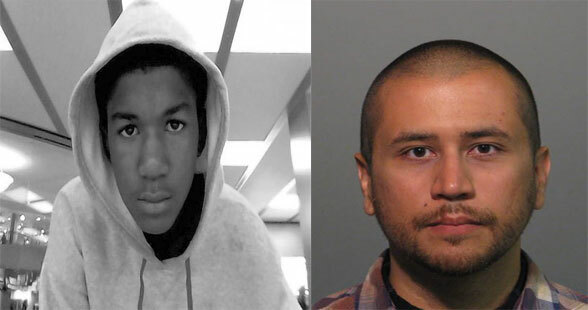 We have a long way to go and we have faith," said Tracy Martin, Trayvon's father. His mother, Sybrina Fulton, said "We simply wanted an arrest; we wanted nothing more, nothing less." This is a "first down" in the race to the end zone in this case. I personally applaud THE PEOPLE who did something to bring light to this case up to this point. No matter if it was marching, rallying, writing, blogging ,tweeting or reposting on Facebook. We all can agree that this is just the beginning and we can't fall asleep knowing that we still have an entire corrupted system we're up against everyday. The struggle continues. The three young siblings from Baltimore, Maryland of the music group "Watoto From the Nile" recently released their latest video called "Warning: (Dedication to Trayvon Martin)." Press play below!